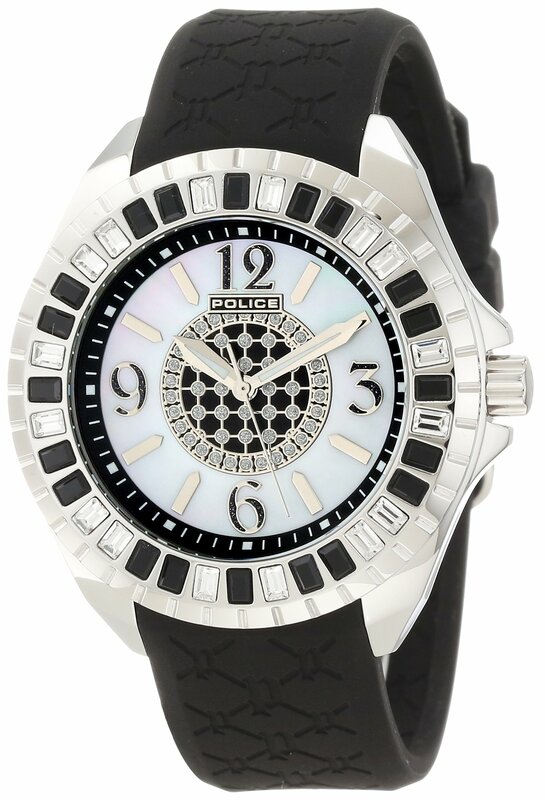 Edge Ladies police watch with Black strap and white mother of pearl dial. 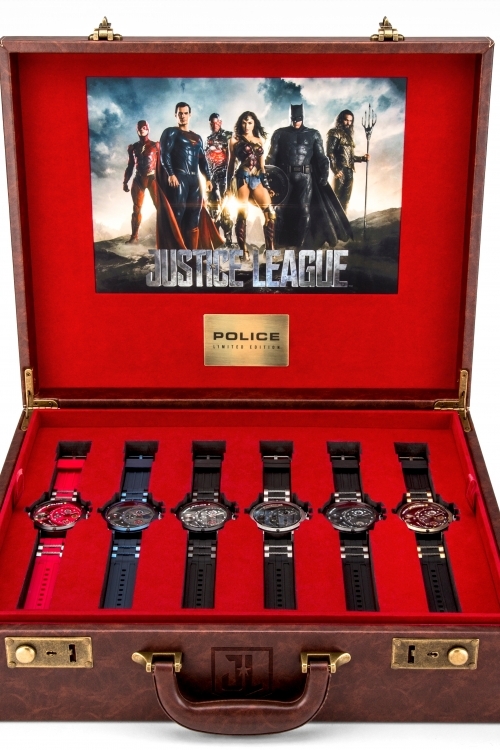 This Gift Set from the brand Police comes with a watch and 2 interchangable straps. 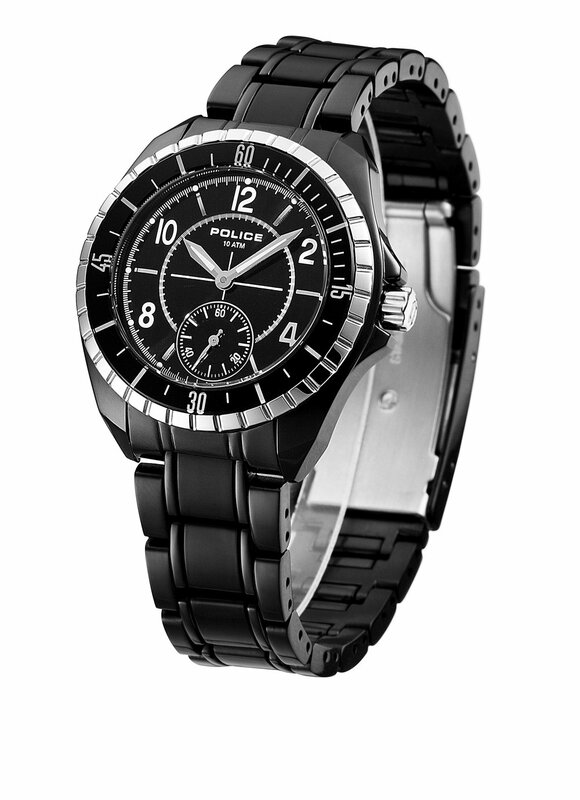 The watch has a stainless steel case and black dial set on a black leather strap. The additional strap is black rubber and is fitted easily. It comes with a 2 year manfacturers warranty. 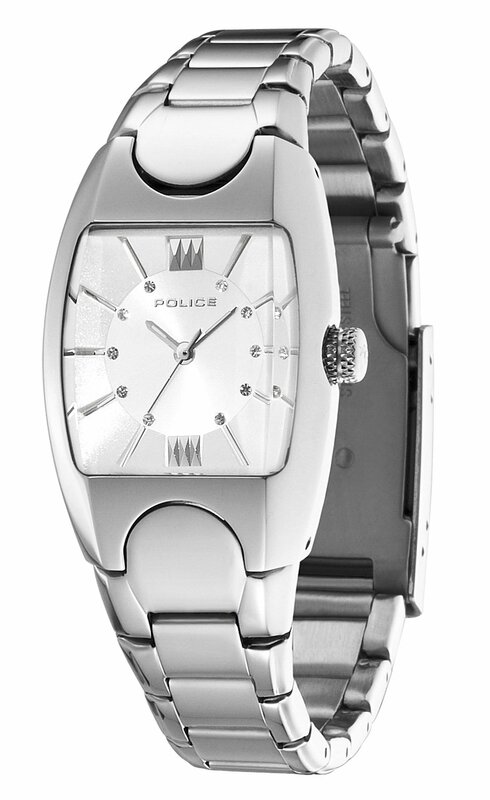 Police PL-11049LS-04M Lucid women’s watch features a 26mm wide and 10mm thick solid stainless steel case with a textured push-pull crown. 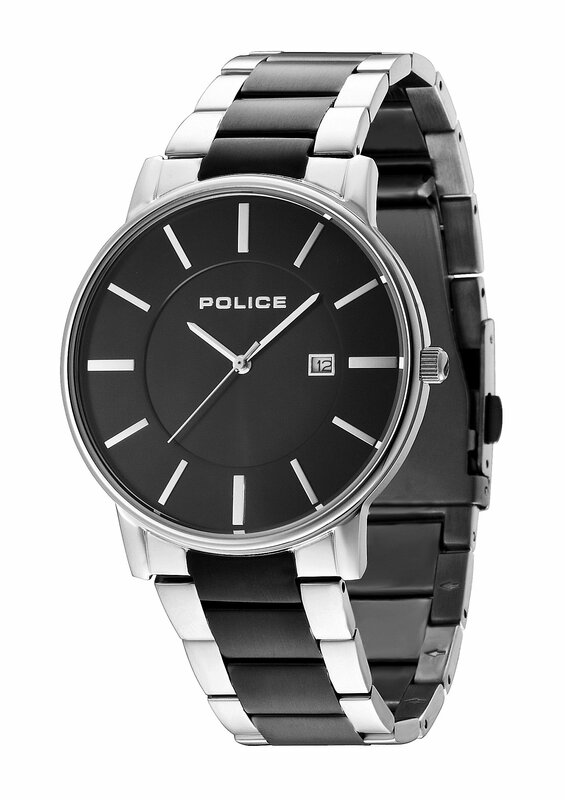 Police PL-11049LS-04M is powered by an accurate quartz movement. This stylish watch also features a milky white dial with white accents black luminous hands and crystal hour markers, scratch resistant mineral crystal, and water resistant to 30 meters. 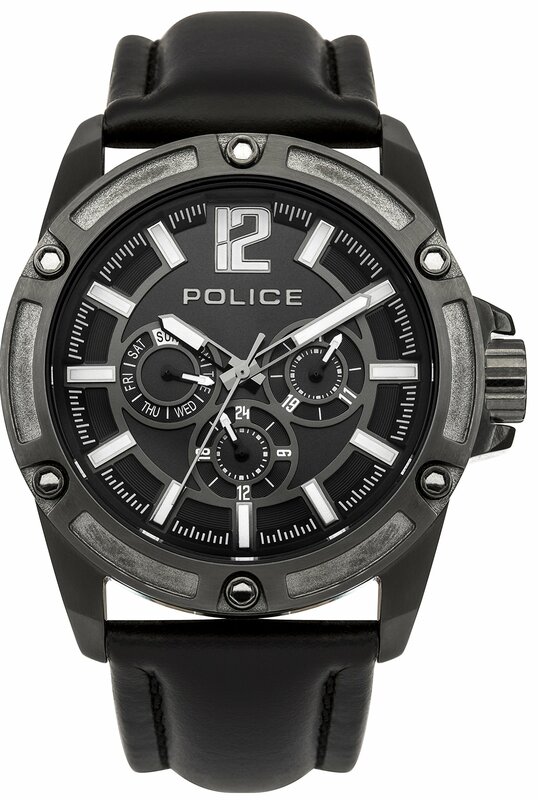 Police PL-11049LS-04M is equipped with a 14mm wide solid stainless steel bracelet with fold-over deployant safety clasp. 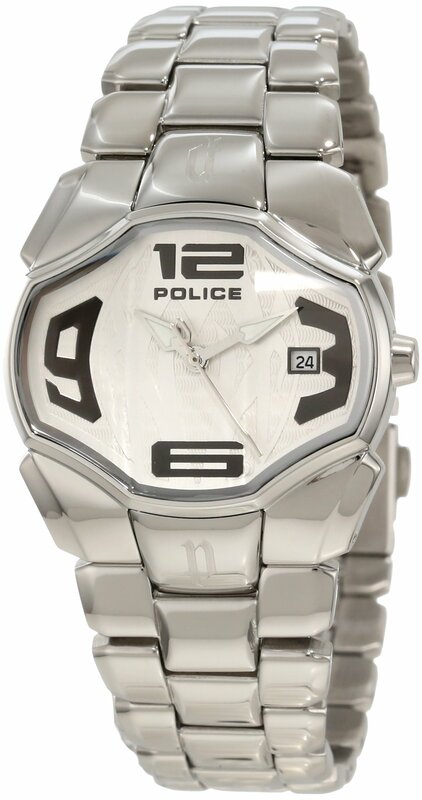 Police PL-11049LS-04M women’s Lucid white dial stainless steel quartz watch is brand new and comes in an original Police gift box and is backed by a limited store warranty. 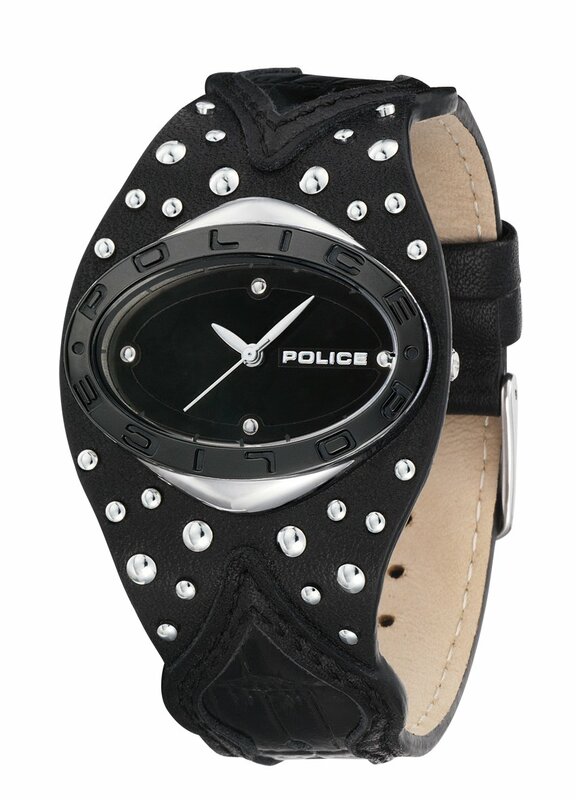 Edge Ladies police watch with Purple strap and white mother of pearl dial.